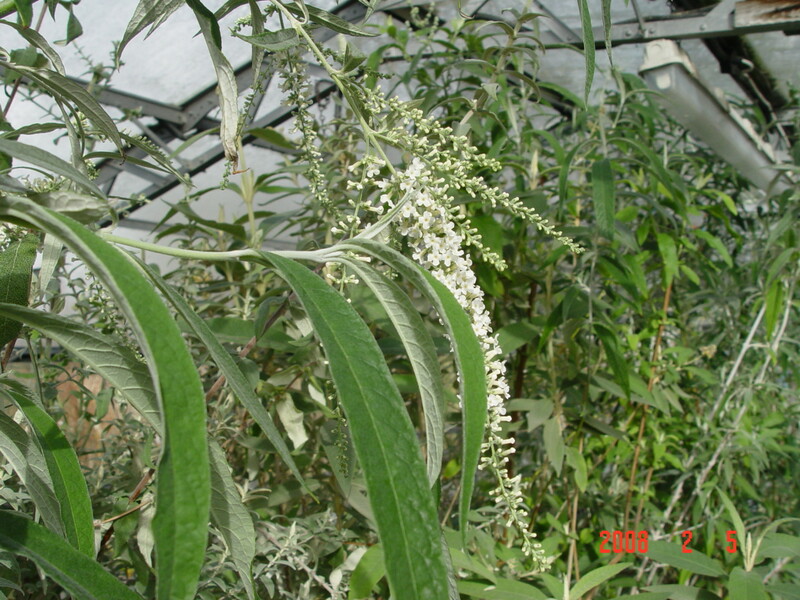 B. asiatica is a shrub with cylindrical hairy branches and densely felted leaves. 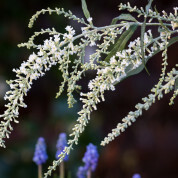 The sweetly scented white flowers are borne terminally in late winter or early spring and after flowering, seed capsules remain. 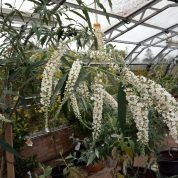 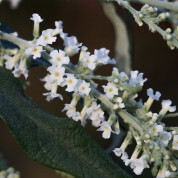 A best must have Buddleja for a frost free glasshouse or conservatory with a scent that fills the air. 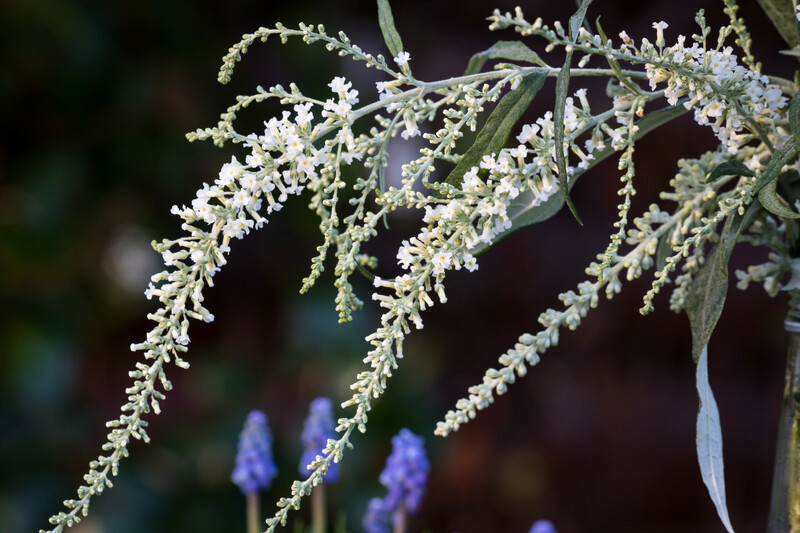 Also check out Buddleja x lewisiana ‘Margaret Pike’. 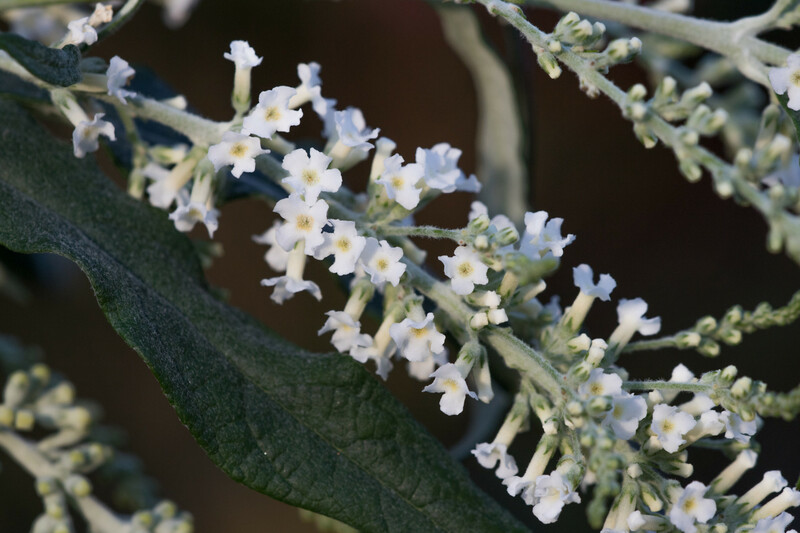 Two of the best winter flowering Buddleja. 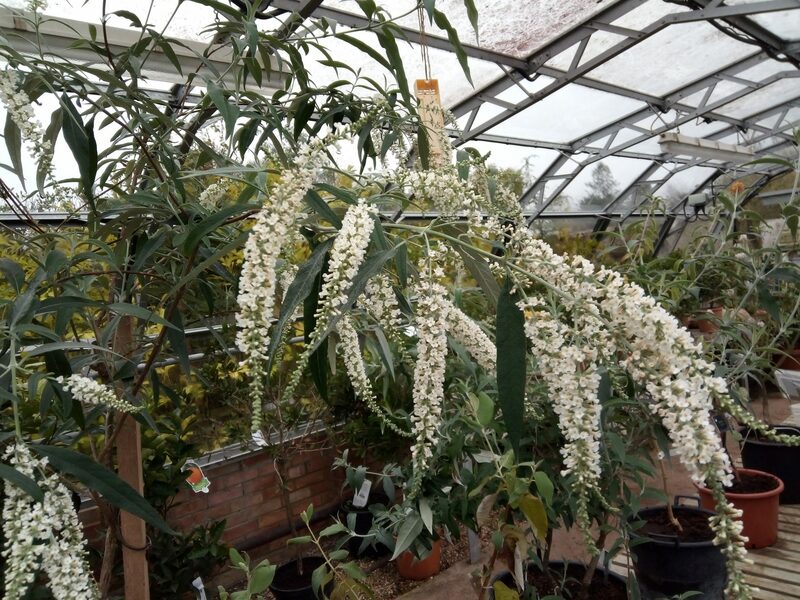 Described and named by the Portugese Jesuit missionary and botanist João de Loureiro in 1790, the species was not introduced into the UK until 1874 and then again in 1902 by Ernest Wilson. 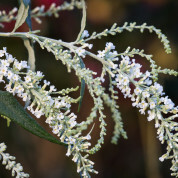 Occuring naturally as a shrub or small tree and distributed throughout Asia from Bangladesh in the East to Indonesia. 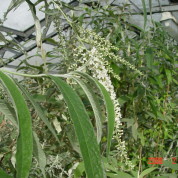 B. asiatica grows in open places, at the edge of open forests and in open woodlands at altitudes from sea level to 2800m. 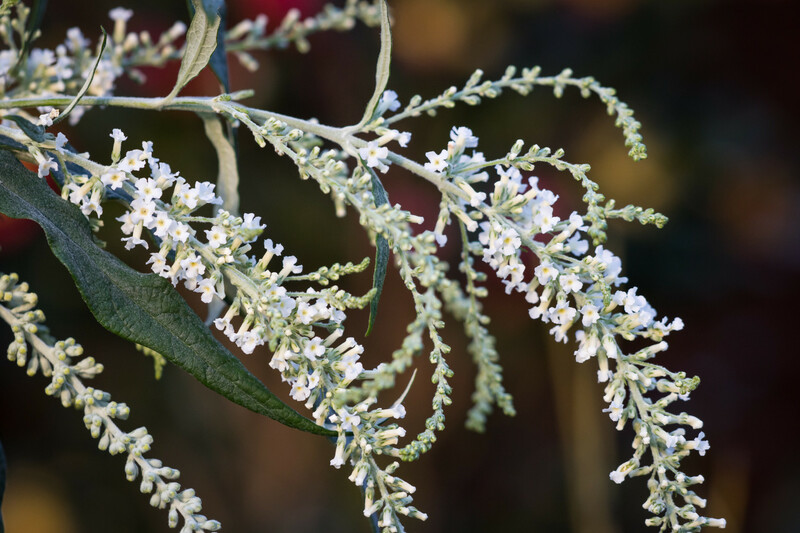 Fujian, Guangdong, Guangxi, Guizhou, Hainan, Hubei, Hunan, Jiangxi, Shanxi, Sichuan, Taiwan, Xizang and Yunnan Provinces of China plus Bangladesh, Bhutan, Cambodia, India, Indonesia, Laos, Malaysia, Myanmar, Nepal, New Guinea, Pakistan, Philippines, Thailand and Vietnam.